Last weekend this little town of mine had a city-wide yard sale. Sounds like there would be yard sale after yard sale after yard sale going on. Just a real Disney World for us yard sale lovers. But in reality there were maybe 20 yard sales. Womp. Womp. I guess I can’t complain too much because I had every intention of being part of the sale. Showing my community pride and all that. But I bailed at the last minute. I just couldn’t get it all together in time. So, if I wasn’t participating, I can’t exactly point the finger at anyone else. The upside is that since I wasn’t having my own sale, it gave me plenty of time to check out the more organized people’s sales. Now, before you get all excited here, I didn’t find all those thermoses this weekend. I just grouped them together since they were all orang-ish ones and it’s fall and all. I only actually found the one on the right at the sales. Which is a perfect match to the one two thermoses to the left. These two guys were separated at birth. See that thermos, 2nd from the right? Robin at Happy At Home sent that to me a few months ago. I got all giddy when I stopped by a little old lady’s house and she had boxes and boxes of Christmas stuff for sale. But that was the problem. She was selling it by the box. $20 a box. Gulp. 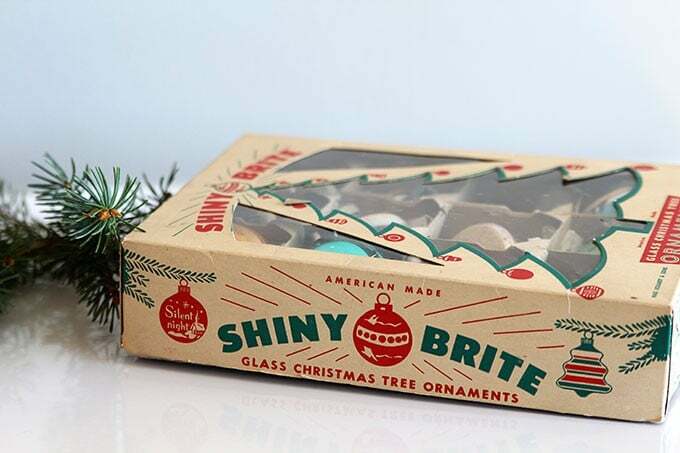 Now if the entire box was filled with kitschy vintage Christmas coolness then I would have no problem. But in each box there were maybe 1-2 things that would be nice to have, but the rest was broken up crap. Basically you would be paying $10 a piece for great stuff with a bunch of garbage thrown in. Mama doesn’t need more garbage at her house. and asked if she would sell them separately. She him-hawed around for a bit and then rolled her eyes and said, she preferred to sell them in the box lot, but she could maybe take $8 for them. Sold. At another sale I found this McCoy planter. I just love this green color. I stuck a red Solo cup in the middle of it, filled it with water a threw some Hydrangea in it to dry. and a vintage stoneware planter. 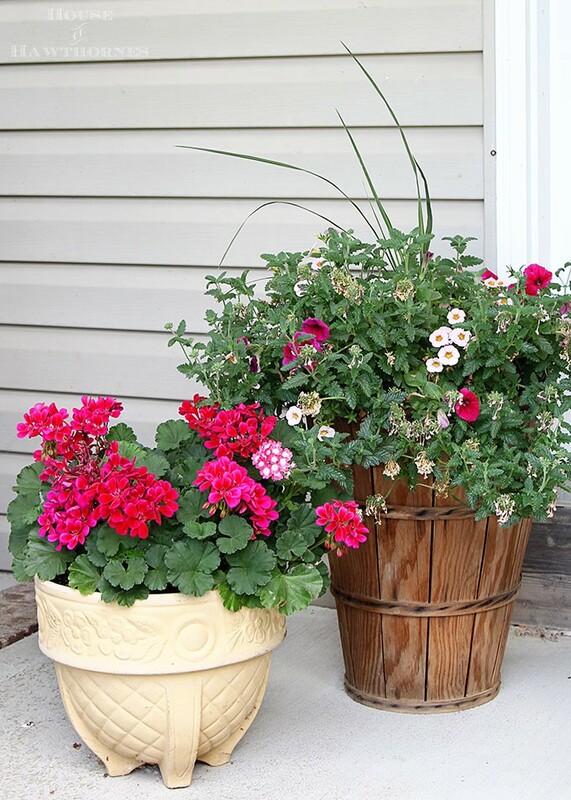 It somewhat matches the planters I bought last year that you can see setting on my porch in my Summer Porch Decorating Ideas. These types of planters are hard to come by, I think most of them got broken through the years. 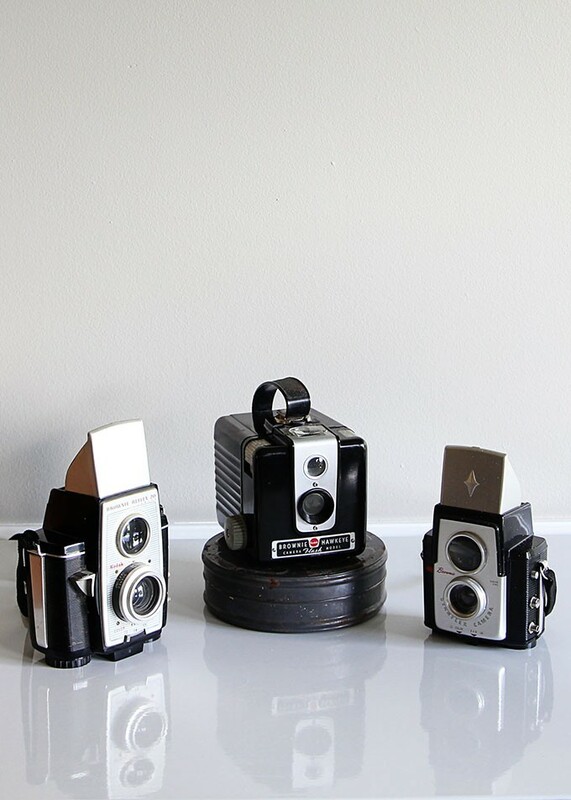 And just because I haven’t shown them to you yet, here are some cameras that I bought earlier this summer. All Brownies. All cool. All for $8. Be sure to come back by on Thursday when I’m part of the Fall Home Tour that Brenda at Cozy Little House whipped up. And then I’m off to the Springfield Extravaganza and the Country Living Fair this weekend. I. Wish. I. Had. More. Money. To. Spend. Are yard sales still hot and heavy where you are? Or have they started drying up for fall? Great finds! I’m drooling over the McCoy piece. Wasn’t that a steal! I jumped up and down when I turned it over and saw it was a McCoy. It was at the same house where I bought a McCoy mixing bowl last year. Wonder what other McCoy pieces she has in her basement. Great finds! Those planters are wonderful. Since I live in the deep south, now that it’s cooling off somewhat, there will be an upswing in yard sales. During the heat of the summer there aren’t as many because you melt before you can even get started. Here’s to a Happy Fall Y’all! We have had exactly zero good yard sales here this year. I really want to go to one where I find cool vintage stuff without having to take out a second mortgage. More people have auctions because they’re trying to liquidate estates. Estate sales are not well advertised–you have to be driving by and see the sign. Around here you can get on some of the estate sale company’s mailing lists and then they just send you an email each week with all the sales listed. Makes life easier. Now, if they would quit raising the prices at the estate sales we’d be all set. I’ve had my share of both good and bad garage sales this year but the good ones were really really good and totally made up for the bad! (Just like a bad day of fishing is better than no day of fishing)!!! Ooh you found some goodies! 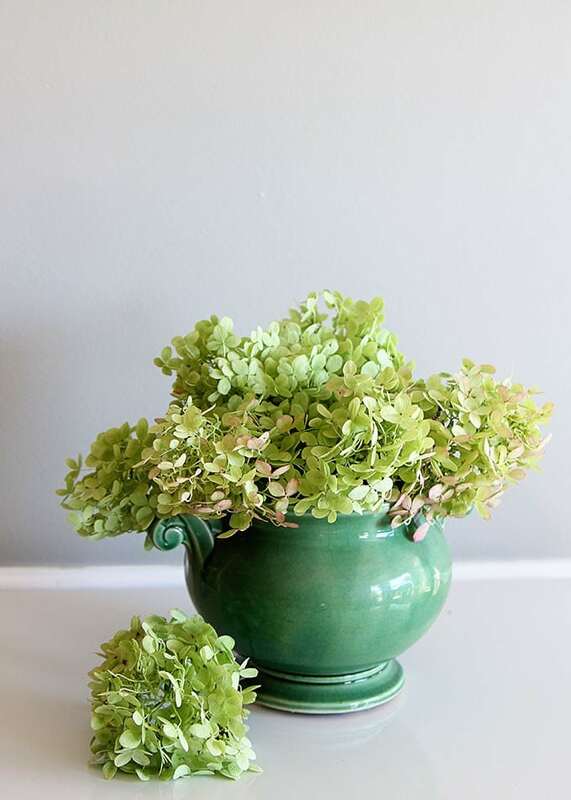 You’ve been on a roll with cameras lately…and I love the photo of the pretty piece with hydrangea! I think you had a pretty successful junking season, Pam, but now that I see what people charge for garage sale items, I realize I GAVE my stuff away!! Have a great time at the CL Fair- I wish I could go! That’s right…we don’t need no more crap lady!!! I’m glad you got a good deal on the Christmas goodies, and I would love to have one of those Brownie cameras! Looks like you scored pretty well! Things are drying up here for fall but Friday I did stumble across a sale on my way to work. Many people don’t advertise anymore because the minimum ad price is $45, they have sales for towns in another STATE, and many people don’t have that large a sale. Anyway, I stopped, it seemed to be an estate sale and got quite a few nice things including lots of cookie cutters, a new machine stitched quilt, a 1929 Coke tray (in bad shape, but oh so cool), an old tool box, a three tiered cart plus more. Got drenched loading it in the car, but still so fun! Love to read all your posts – keep ’em coming! Eep, Shiny Brites! You just got me excited for Christmas (but I guess that’s easily done since I’m one of those Christmas nuts who starts shopping and planning in August…I’m kind of late this year, actually). I love Shiny Brites, you also don’t want to know what I spent to have real lead tinsel imported from Austria (lead tinsel being banned here in the 1960s, but I don’t have any pets or kids, so whatever to having toxic things hanging off my tree, haha, the modern day plastic tinsel doesn’t hang the same). Also, I was just thinking of you the other day, reading a book called “Collected: Living With The Things You Love” and there was an amazing thermos collection in there. 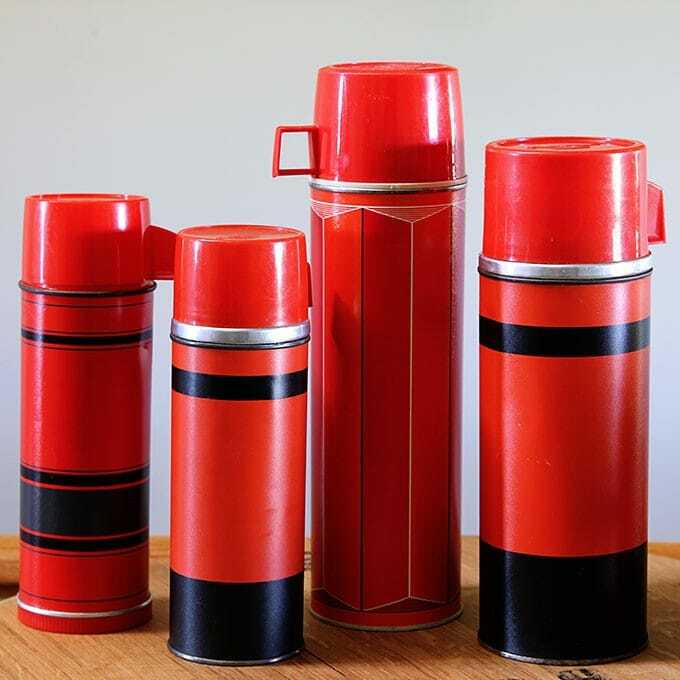 I looked it up online, and I think this it it: I meanhttp://www.acontinuouslean.com/2013/03/20/the-great-american-thermos-hoard/, tell me your mind is not blown?! My jaw dropped a little. that they are barely a memory. The best thing I got at a sale was a White House ornament. each one is so detailed and intracat. 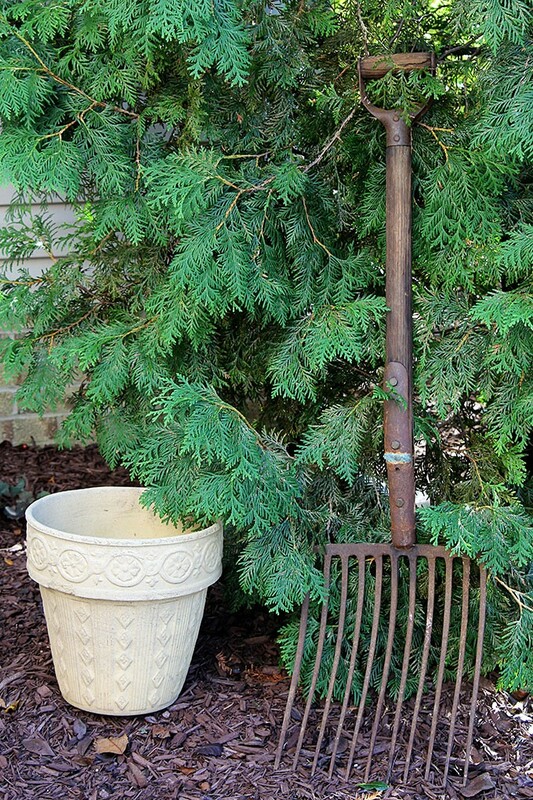 Love love love both the McCoy and the vintage planter. Oh and the pitchfork. Your thermoses (thermosii?) are the bomb! I especially like the one with the diamond 3D design running down the body of the thermos. Good for you for asking the ornament lady for the bargain. If you don’t ask, you don’t get, right?! Kudos for such a productive day. Yard sales are always ‘meh’ around here. I did hit one good one earlier in the summer but I think I used up all my luck on that one sale. Doesn’t keep me from looking, though! I am heading west this weekend for the Country Living and Springfield Extravaganza, too! Apparently there is also a Fiestaware tent sale happening near the Country Living Fair, so it will be a fabulous trifecta. I have never been to Springfield before, so I am particularly excited about that one! It’s quite warm here in South Mississippi, so yard sales are still plentiful. I wish all of the sales here included treasures like the ones you found… Shiny Brites, Santa and that gorgeous McCoy vase. Great finds! Enjoy the Country Living Fair. Can’t wait to see what you find! You really did very well. I hope you take us along via IG to the Country Living fair too! I can’t wait to see what treasures get rescued!! I usually pot everything in terra cotta, but those old glazed pots…love them! I save those for indoors. 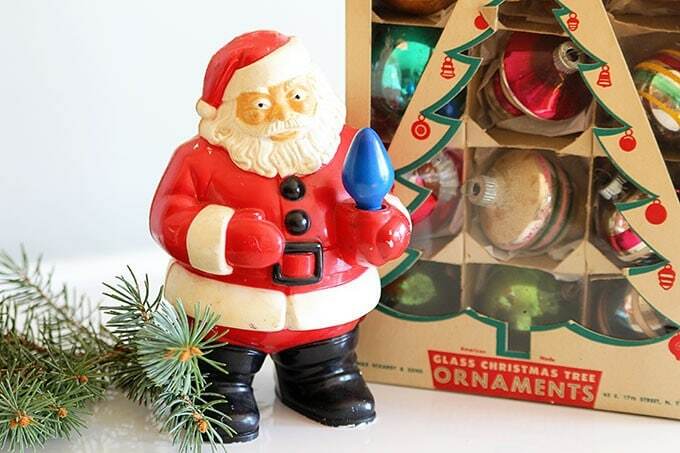 And finding vintage glass Christmas ornaments is like finding treasure! Beautiful! You scored! There are no good yard sales in my area. There are estate sales where people line up and bid on expensive items or there are garage sales, where people sell their old baby clothes. I want to see the kind of treasures you found! !